Is There Any Power In the PowerShot? The reason I recommend it for the non-professional is the fact that it is considered an economical entry-level camera that is not only compact, but also takes decent pictures with its 14.1 mega pixel resolution. While it is not made to adorn a fashion show, it still comprises of some wonderful features and a neat design – details which I will expound on as I move forward with this review. 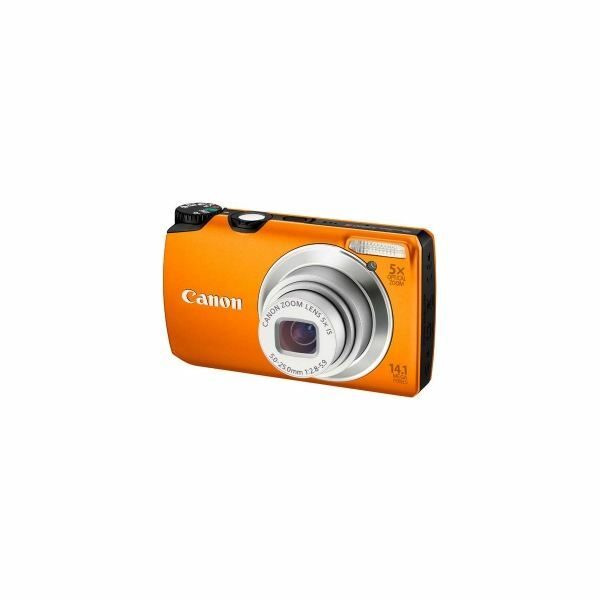 The Canon PowerShot A3200 IS is called compact by most, and I guess it is in comparison to others, but by that same comparison, you should know that it isn’t the smallest. As a matter of fact, it could not fit into my jeans pocket, but then again my jeans were tight and the pockets may actually be smaller than usual. I am not saying that the camera is bulky, because it isn’t; it’s just that if your pocket is any little bit smaller than average, you should ensure that you have other means of transporting your camera. What I also like about it is the fact that it is available in different colors; I have only seen 3 different colors so far, which are silver, orange and pink. Personally, I prefer the pink. 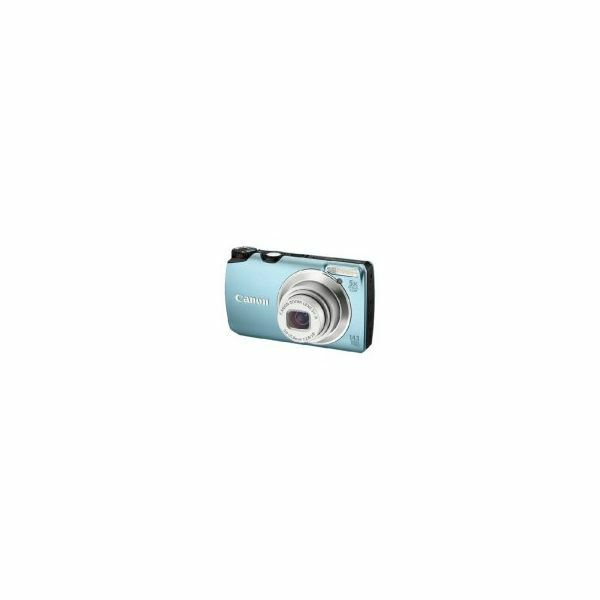 As with most cameras, the button to turn it on and off is at the top of the camera, and if you hold it in the position to take a picture, you will also find the snap shot and zoom button along with a menu wheel to the right of the power button. This particular menu wheel provides different picture taking and lighting modes for the best picture quality each time. The back of the camera (the side facing you) is equipped with the play back button, the face detection button, the overall menu button; the display button and the FUNC Set button. All of these can be found to the right of the LCD screen. As stated before, this is a 14.1 Mega pixel camera which is pretty high res – especially to a person who mostly uses their mobile phone to take quick pics. There are many of these compact cameras that are being made with nothing under 11 Mega pixels, so the market is starting to standardize this resolution size. It is good for those of us who have family members who always wants us to provide them with physical prints and at a reasonable size. I tend to just transfer to my computer and upload to Facebook, until the older generation steps in. Until recently, I always paid attention to Mega pixels when I am looking at a camera, but not usually much else. I have begun to realized that a wide angled view camera gets more of the scenery in the picture than a regular camera would. So, the Canon Powershot A3200 IS not only works great for taking pictures of people and things, but also the background and surrounding environment with its 28mm wide-angle lens and the added 5X optical zoom. If you decide to go all out and utilize the full 5X zoom, you will be happy to know that the camera is also equipped with an optical Image Stabilizer so that the picture does not come out completely blurry. This feature helps if the lighting conditions are less than perfect. You should also utilize the accompanying auto feature that will select the one of the 32 scenes for providing the most appropriate settings for the picture that you wish to take. Additionally, the face detection button that I mentioned earlier can detect as much as 35 faces in one shot. This is great for focusing group pictures. If you are unclear about what some of the features on the camera does, you can always make use of the hints and tips feature to get an idea…no need to consult the manual. The screen of the camera isn't actually big for the size of the camera, but I certainly can’t complain when I scroll back through the pictures taken or playback a video. The screen provides sharp images (given that sharp images were taken) and I know exactly what my pictures and videos are going to look like before I transfer them to my PC. If you are more into shooting videos than taking pictures, you will be happy to know that you can shoot videos in High Definition with its 720p video capture. The image stabilizer that I mentioned earlier also helps with shooting videos so that if you have shaky hands like me, your videos won’t always come out looking as if you were running during every recording. There is one additional feature that I must mention, and that is the Lithium Ion battery. The reason I go out of my way to talk about this feature, is due to the fact that some persons see it as a blessing and others as a curse. The blessing? No need for AA or AAA batteries that won’t last very long and are not economical to keep buying – especially if you are on a long trip. The curse? If your Lithium Ion battery runs out while you are on that trip, that’s the end of documentation. 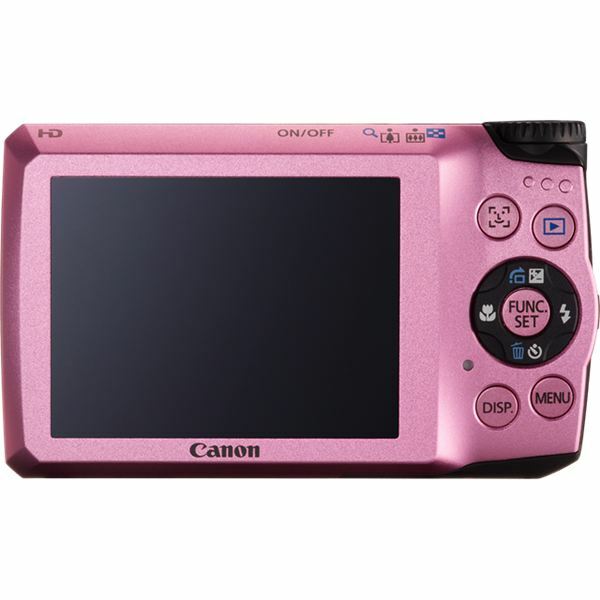 The Canon PowerShot A3200 IS has a simple standard design. It also has a lot of features that may seem overwhelming at first, but will become pretty simple after a short while. Whenever you are faced with a new gadget, it always seems to be a little bit complicated. This is especially true if the device is equipped with many features and options. Once you get past the initial “first look," you will find that the PowerShot is really easy to use. The buttons on the camera makes accessing the features very simple and the built-in hints and tips feature makes it easy to find out what each button does and how to effectively use the features. I have sweaty fingers, and often have a problem holding some small devices, but the fact that this camera is a little bit less than compact makes it easier for me to hold. In using the camera, you may find that it powers up fairly quickly and will take the first picture without much delay. Keep in mind that the subject of your picture needs to hold their position a few seconds after you have already pressed the button, especially if you are using the flash. The Powershot A3200 IS isn’t any more expensive than any of the other cameras in its class, and it may even have more features than many of them. Most people would agree that it is well worth its price because it takes quality pictures even in low light situations with a little tweaking of the features. In essence, this entry-level camera is still a little bit more advanced that some of the other cameras in that class, and I would definitely buy one if I need a good entry-level digital camera for quick snap shots. The price for this camera may vary depending on where you shop. It can range from $120 – $300. Image Credit: Canon and Shopbot via the links above.